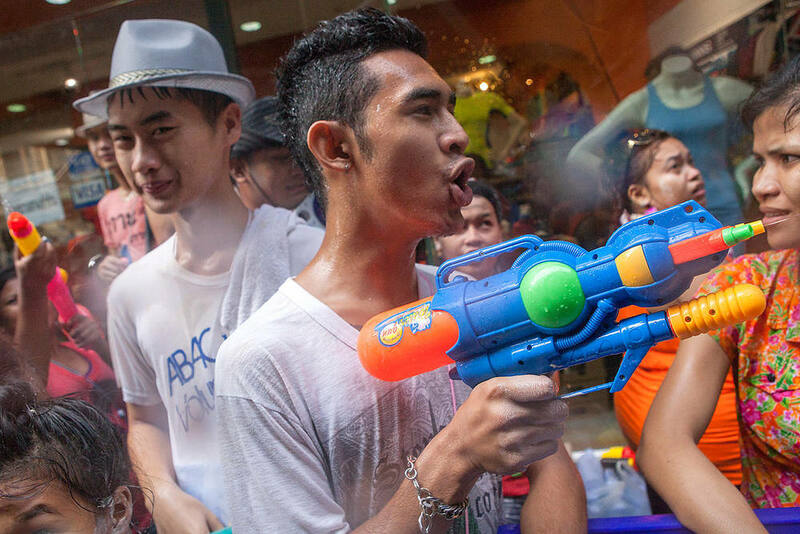 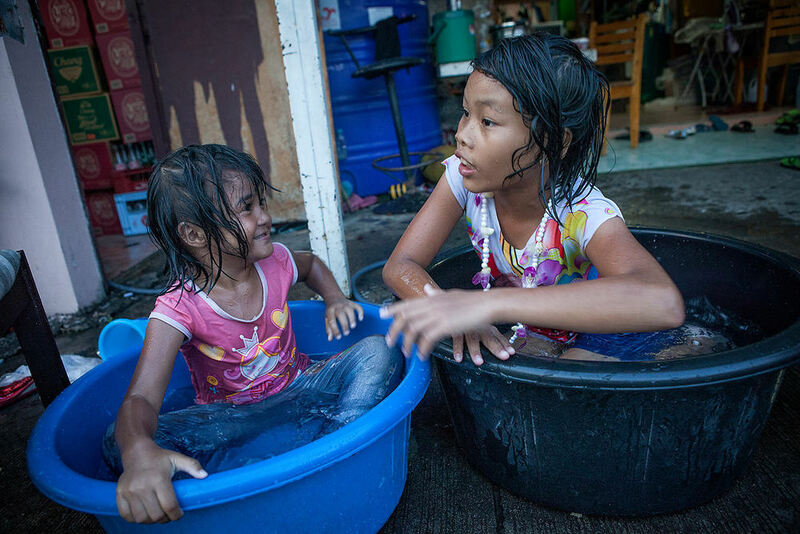 In Southeast Asia, the Buddhist New Year called Songkran starts around middle April. 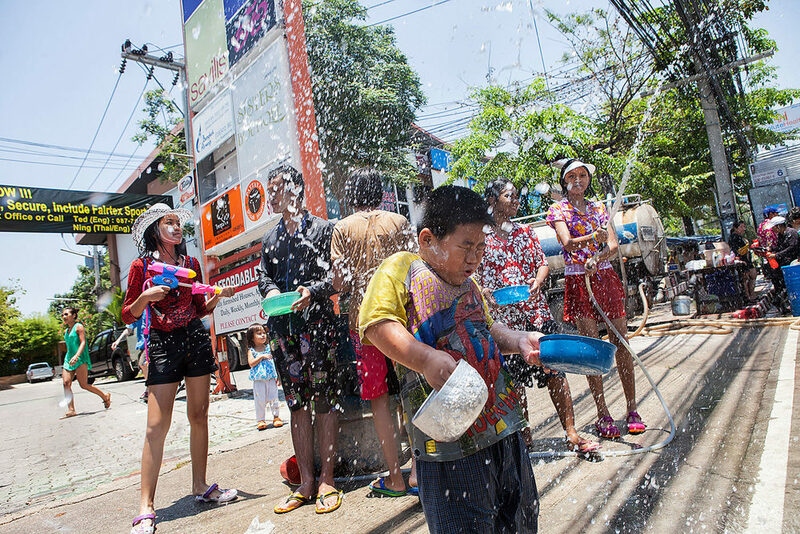 Celebrations generally last three days but, in some cases, can last a whole week. 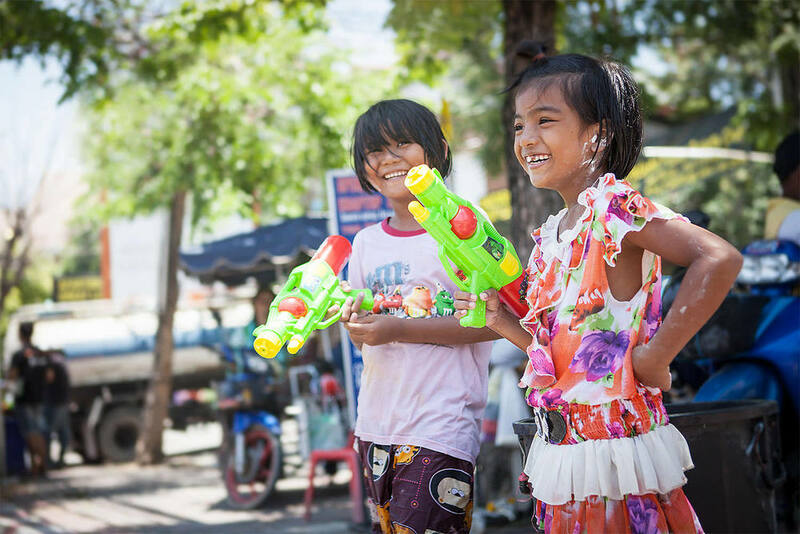 Especially in Thailand, Songkran is a very important celebration that involves the whole population and it’s an opportunity for many people to come back for a few days to their villages. 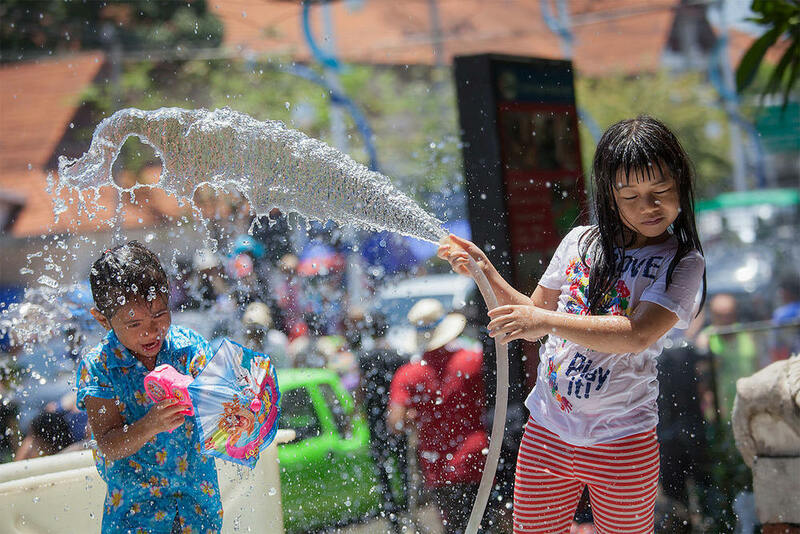 Water is the main element of these days and is cast as good luck in every possible way ...... the photos you see were taken between Bangkok and Pattaya..